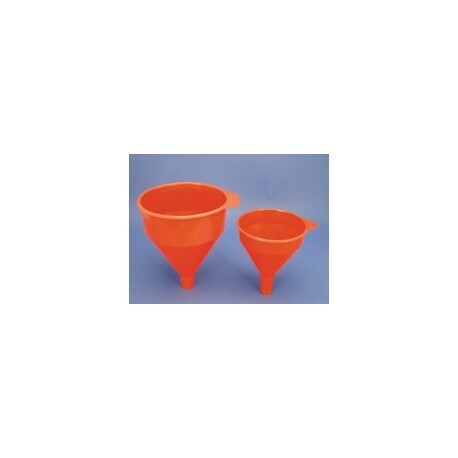 The transfer 2 & 6 QT POLY FUNNEL is made of economical polyethylene. It has a fast flow 1" I.D. outlet and a built-in stainless steel screen. 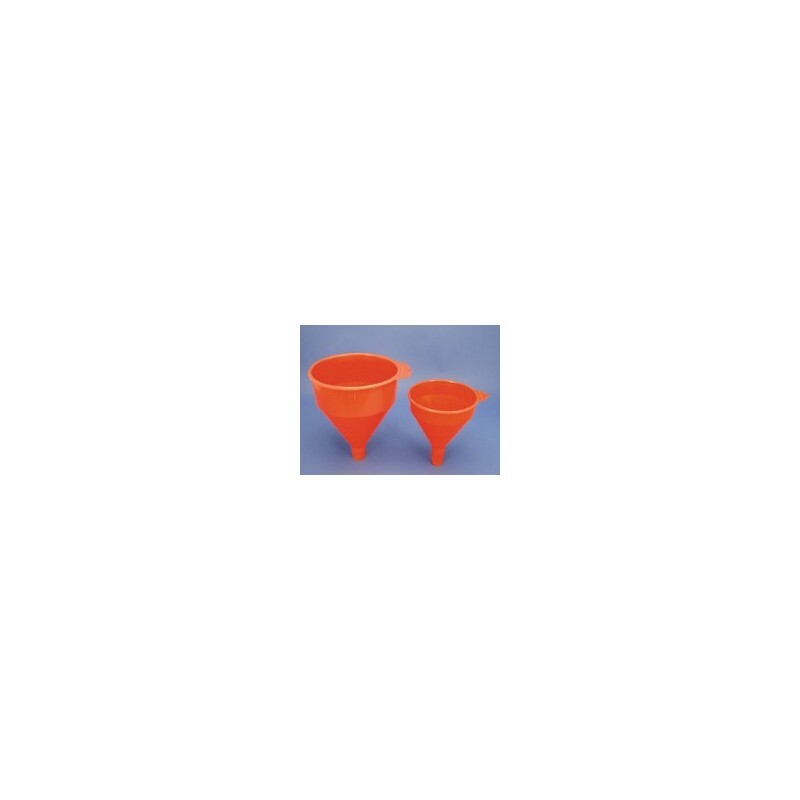 2 qt version dimensions are 6-1/2" I.D. x 8-1/2" H (3/4 lbs) and the 6 qt version dimensions are 8-1/2" I.D. x 10-1/2" H (1 lbs).